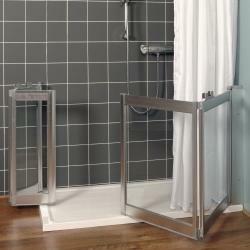 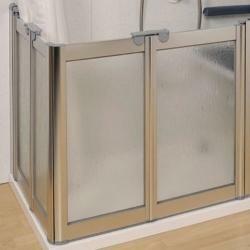 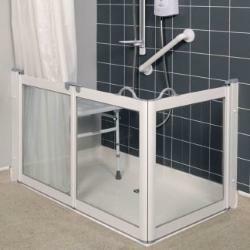 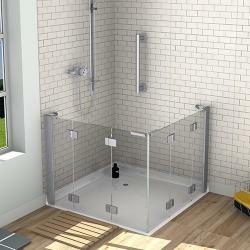 Suitable for level access wet rooms or shower trays, these reduced height shower enclosures achieve a safe and reliable method of care showering. 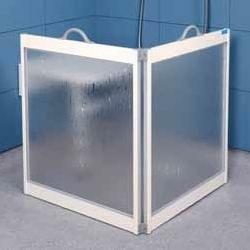 At 750, 900 or 1000mm high, they allow the carer to reach over the enclosure to assist washing whilst remaining dry themselves. 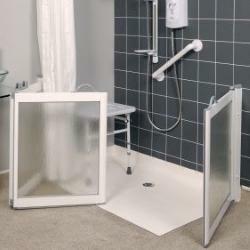 As well as fixed door sets which fold back against the wall when not in use, we also supply portable carer screens that can be folded and carried easily.